Stand-up paddle boarding has erupted in recent years, becoming one of the most popular water sports available to try. Stand up paddling is great, because of its versatility, you can give it a go in warm, cold, fresh and salt waters. The sport kicked off in the sixties thanks to the ‘Beach Boys of Waikiki’ and in recent times, it is fast growing in popularity with all kinds of people. It’s now becoming ever more popular to travel and take part in paddle boarding in as many different locations as possible. Paddle boarding is a mix of kayaking and surfing, it’s a great method of getting out and about on the water, whether it be a river, lake or ocean. The best part is, not only are you getting a great workout, but it’s amazingly therapeutic at the same time. 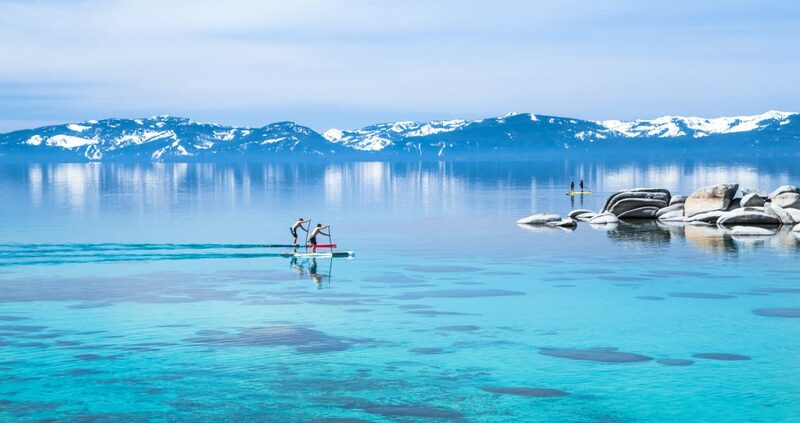 Whether you’re experienced or brand new at paddle boarding, the following places around the world are some of the best destinations for paddle boarding, and what better way to enjoy the surroundings? Hawaii is the definite hub of surfing, so it’s no surprise that it’s also one of the best places for paddle boarding. This is the place where stand-up paddling claims to have originated from! It is certainly the most infamous of all paddle boarding locations. Locals and travelers make their way here to glide around the shores of the beautiful island. The main area in Hawaii for stand up paddle boarding is the Oahu’s North Shore. Specifically, Ali’I Beach is one of the favorite places, due to the calm, perfectly clear waters. There is a protected area on the south of the beach which is perfect for beginners. Another location great for beginners is Puaena Point at Hale’iwa Beach Park on the Waimea Bay side of the Anahulu Bridge, which has the ideal calm water and also its easy access. Sunset Beach on the north shore hosts some of the most popular surfing competitions in the world during winter time. But in the summer, the water is a lot more gentle which is perfect for paddle boarding. The adventurous can even paddle all the way to Waimea Bay, which is a four-mile journey from Sunset Beach. 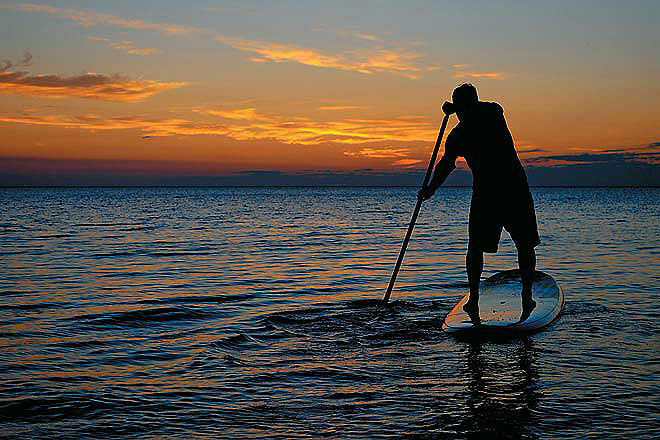 Read our full guide to the best places to SUP in Hawaii. The Bahamas feature over 100 miles of picturesque coastline and clusters of islands. The flat, transparent and warm tropical oceans boast mesmerizing views of coral reefs and other marine life. An ideal stand up paddle boarding location is Abacos. This one may seem unlikely. But imagine, coffees by morning, stand up paddle boarding by afternoon, followed by a salmon dinner by evening. Sounds perfect to us! This city is surrounded by pools of water and contains many great stand up paddle boarding locations. To mention but a few, Lake Union, Shishole Bay, Green Lake, Lake Washington and Elliot Bay are all very popular spots with paddle boarders. 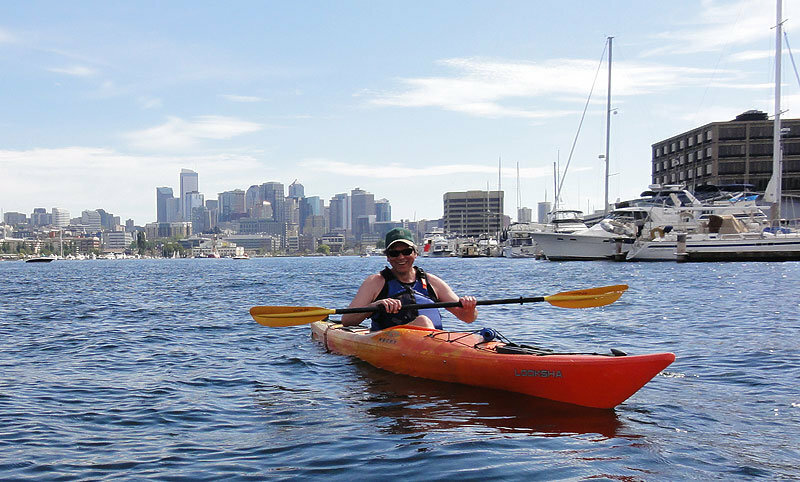 Exploring Seattle on water is the new thing to do and it’s a great experience. We wouldn’t recommend inexperienced paddlers to paddle on the Puget Sound, especially days when the current is stronger. Costa Rica is fast becoming one of the most popular stand-up paddle boarding locations. It is now a place renowned for surfing and paddle boarding. Paddle boarding is specifically great for tourists who are not stopping locally for long and don’t have the time to learn to surf. The mild water and warm air temperature are great for those who are happy to also get in the water. Playa Danta in the Guanacaste area is one of the best paddle boarding locations, however, Jaco is great for people wanting to experience a more rough and ready location. There is also a lot of other activities to try there. Give the snorkeling a go, you won’t regret it. Believe it or not, Canada has more to offer than the usual things you would expect such as hiking, bear watching, fishing or skiing. Whistler in Canada has recently become a well-known water sports destination. Alta Lake and Alpha Lake are great spots for stand-up paddleboarders. The views here are like none other worldwide and how better to see them than on a paddle board? India is a newly discovered paddle boarding location. Many view it as a hidden secret. Check out the stunningly silent east shore waters and give paddle boarding yoga a go. In the Bay of Bengal, try the Kushavadra River and Chilika Lake, these are great paddle boarding locations. There is also the annual Surf Festival here and you can grab great paddle boarding lessons if you are a newbie. Travelers and locals all come here for one main reason, the majesty of the Indian waters is addictive. From Santa Barbara to Redondo Beach to San Diego you can be guaranteed to run into some paddle boarding yogis if you want to visit California. You could basically hit any location here and find somewhere suitable for your stand up paddle boarding needs. California is a great all rounder. With its vast beauty, that many liken to paradise, Tahiti definitely makes the top of the list of great locations for paddle boarding. Whether it’s the stunning beaches or tranquil lagoons you won’t regret a visit here. What’s great about it is that you can snorkel or swim straight off the board without having to panic about any rough surf. The wildlife here is second to none, if you are lucky you may find yourself sharing the waters with turtles, fish or even dolphins. Tahitian waters are without a doubt the cleanest and sublime in the world. Seeing as paddle boarding is so versatile and be carried out on pretty much any body of water, Amsterdam is now a popular location for the sport. Amsterdam has over 150 canals that, combined, cover around 60 miles in length so you will be spoiled for choice here. It’s a great way to see the city and a perfect alternative to the more traditional bike riding that the city is famous for. The above list of our top paddle boarding destinations and should give you great food for thought, the only hard bit is how to choose just one! Happy paddle boarding!